MUST SELL! MAJOR PRICE DROP!! 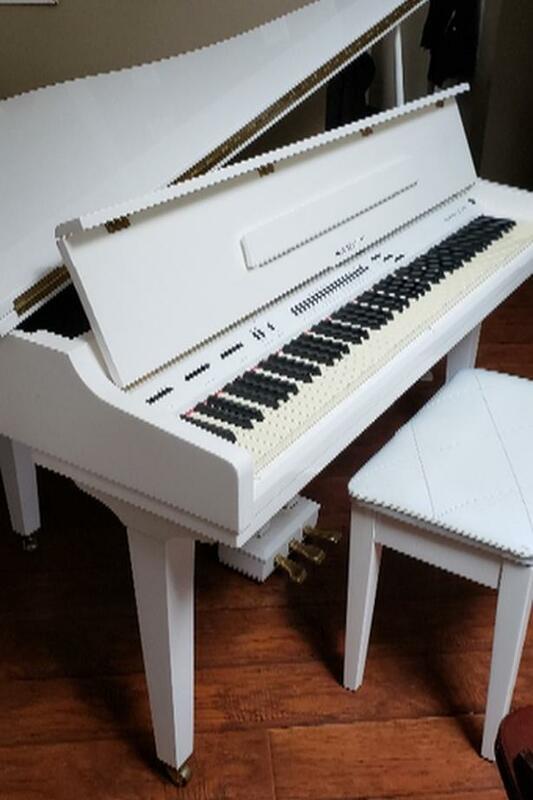 Samick SE-900G digital baby grand piano. Beautiful white glossy finish with leather padded bench full of music books and teaching flash cards. Weighted keys as noted from a piano teacher. Foot pedals. Beautiful tone. Many different instrumental sounds. 2 keys stock occasionally but great starter piano. Headphone Jack for quiet play. Non smoking home. It's been in storage for a couple years and I don't have room for it anymore.